This fall we've been in the studio recording some of our newest songs and we are more than antsy to release them. However, we wanted to include some remixes from our last full length album, War Is Yesterday. We have the individual instrumental/vocal tracks from all 9 songs, which we will give you to blend, twist, chop, and reverse as you like. 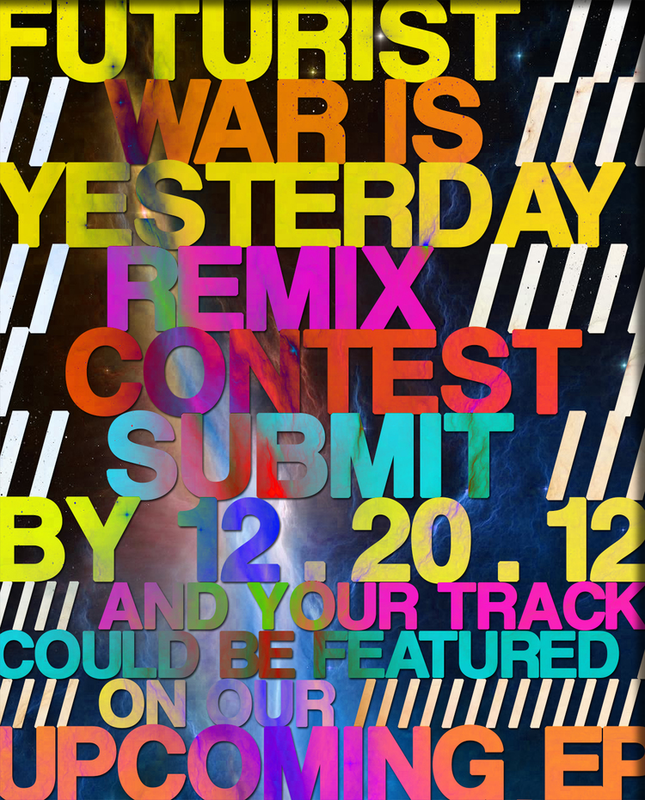 If you submit by 12.20.12, and we LIKE it, we will feature your track along with our new EP release. We will feature as many tracks as we like and there are NO limitations on how many tracks you can remix. Step 1: If you haven't already, listen to 'War Is Yesterday' and choose your song(s). Step 2: Email us at contact@futuristnow.net and tell us which tracks you want the files for. Step 4: Submit your (.wav or .aiff) track to us by December 20, 2012 and your track could be featured alongside our upcoming realease!